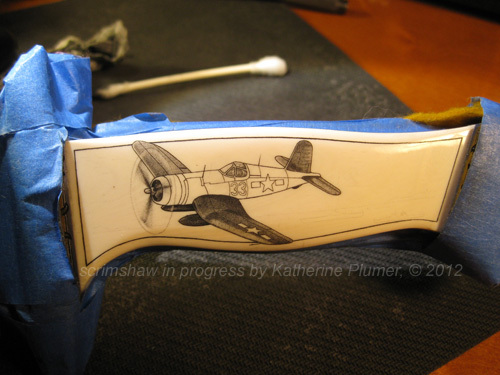 Ooookay, let's see if I can get back on track with blogging and scrimshawing and everything else. 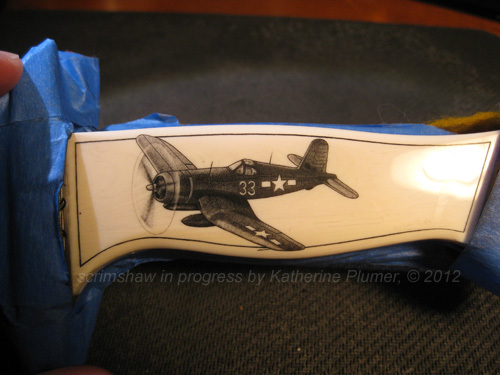 When I was a kid I had a toy airplane that I recall being quite fond of. It was dark blue shiny metal on top, light blue plastic underneath, had a black and white checkerboard pattern around the nose, and had funny bent wings. 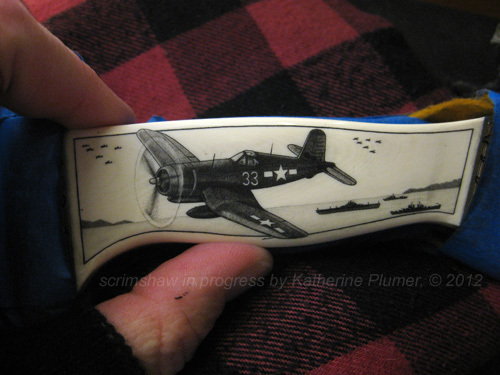 Little did I know that my cherished toy was a model of an F4U Corsair. 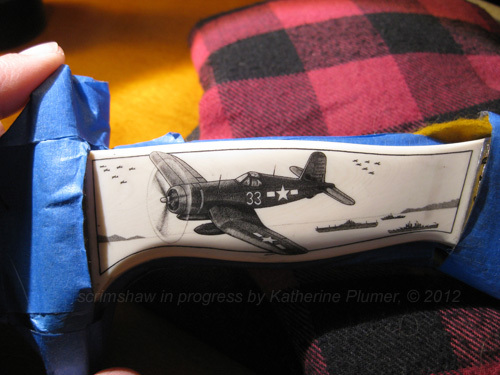 I know that now, and there's a little bit of glee in depicting "my" special airplane (though this one doesn't have the checkerboard pattern). There is quite a bit of work yet to go on this side. The ocean will be darker and choppy, and the sky will be full of clouds.